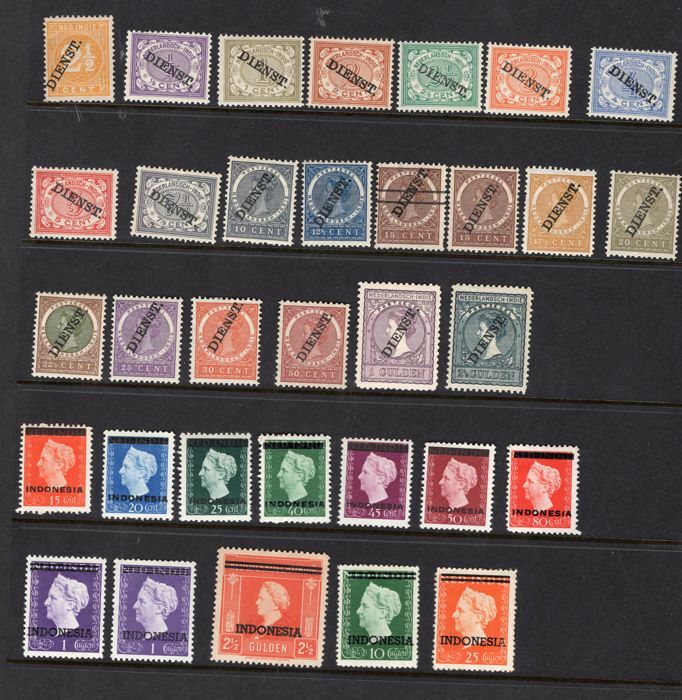 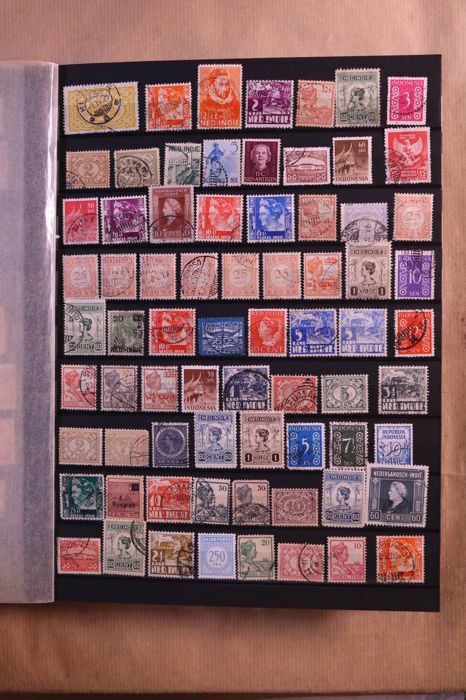 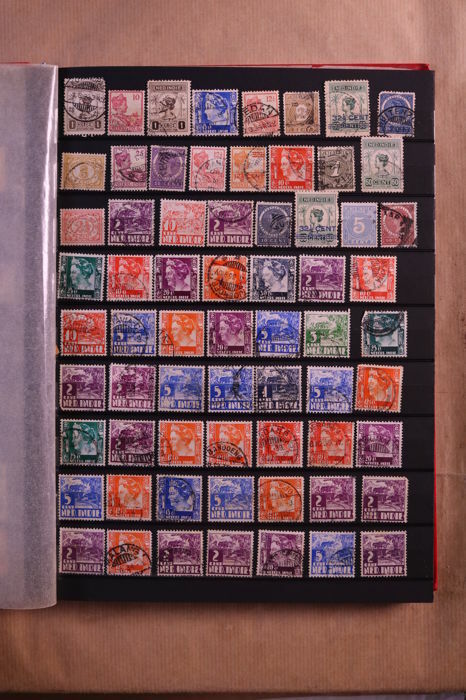 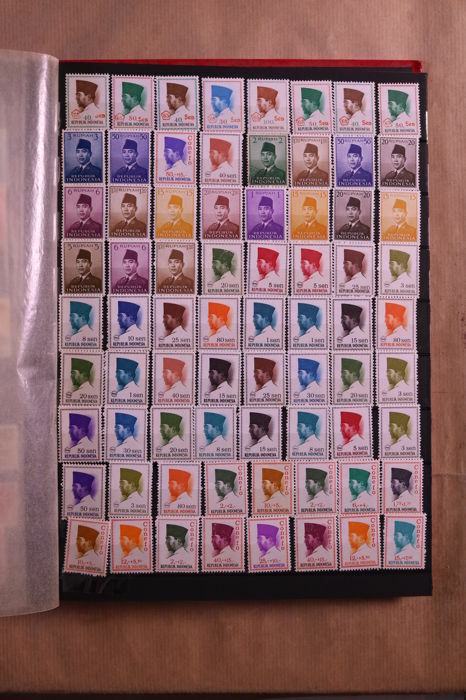 Both series have partly tinted gum, which is usual for this issue. 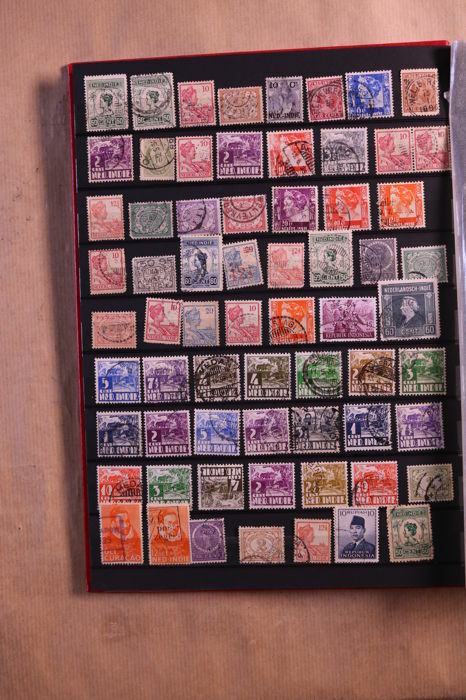 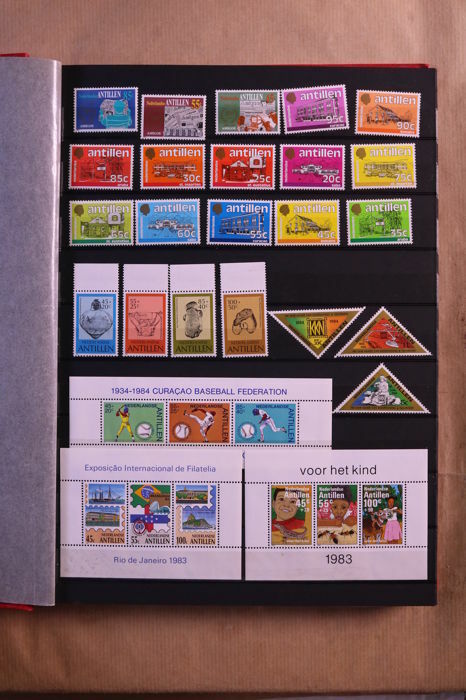 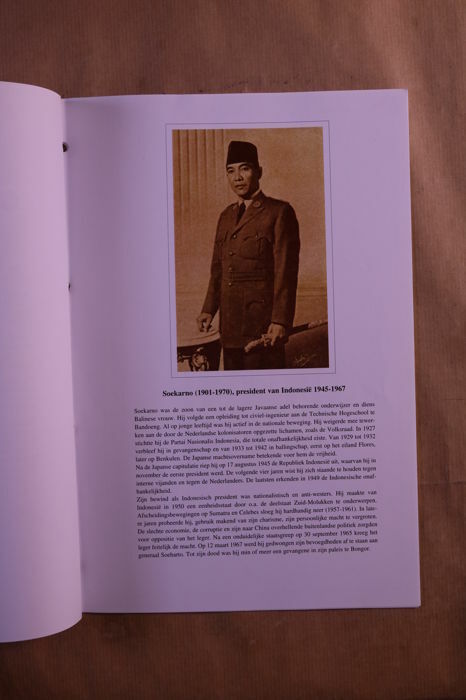 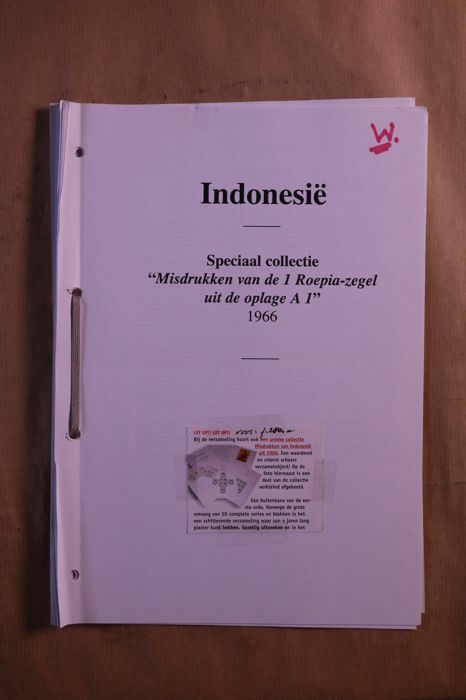 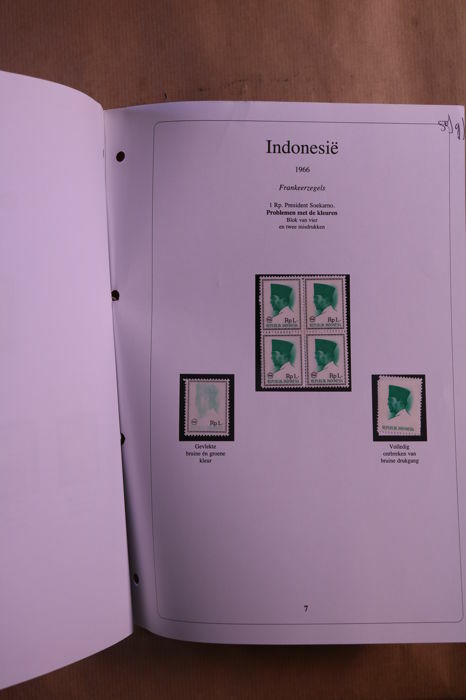 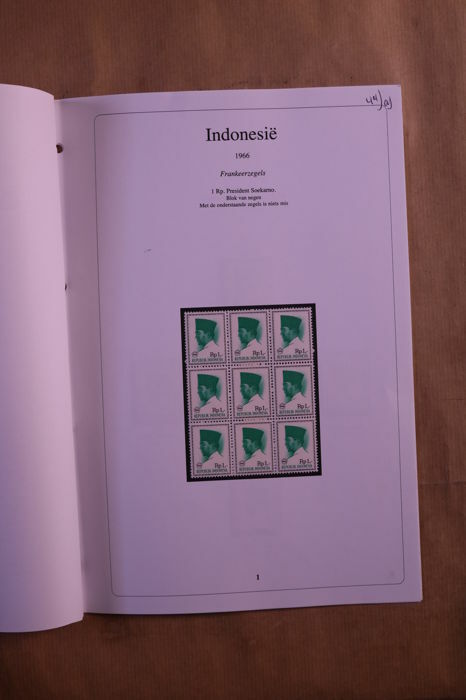 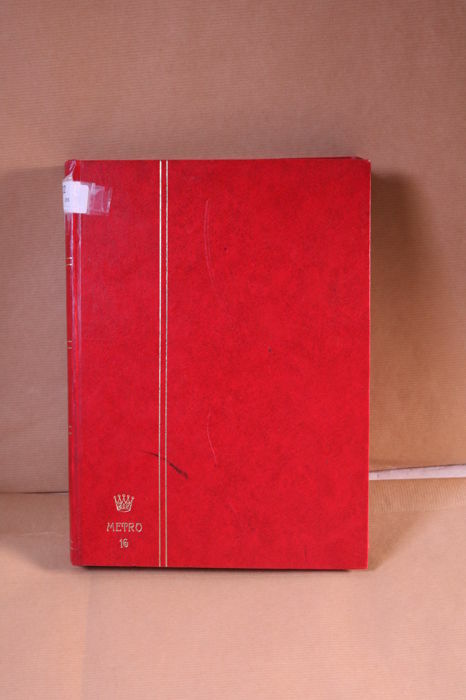 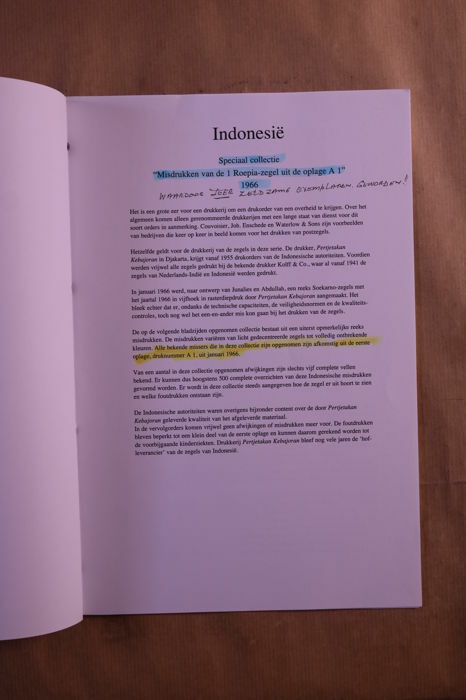 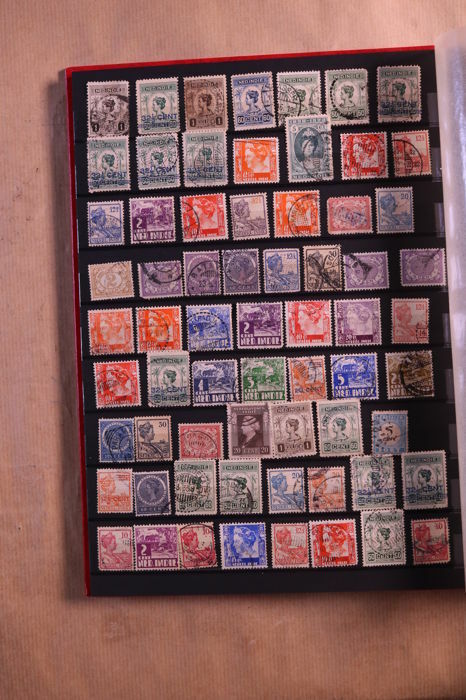 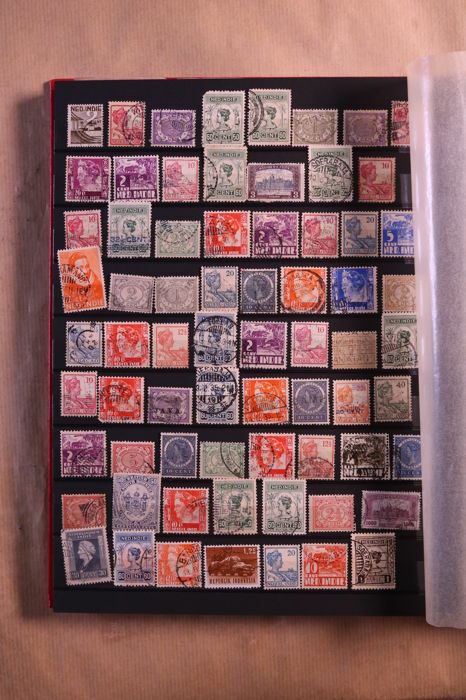 Also a stock book with Dutch East Indies and some Indonesia, with many cancellations. 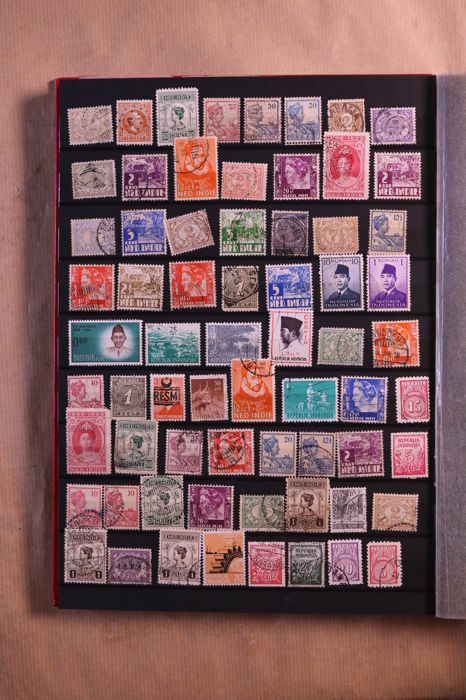 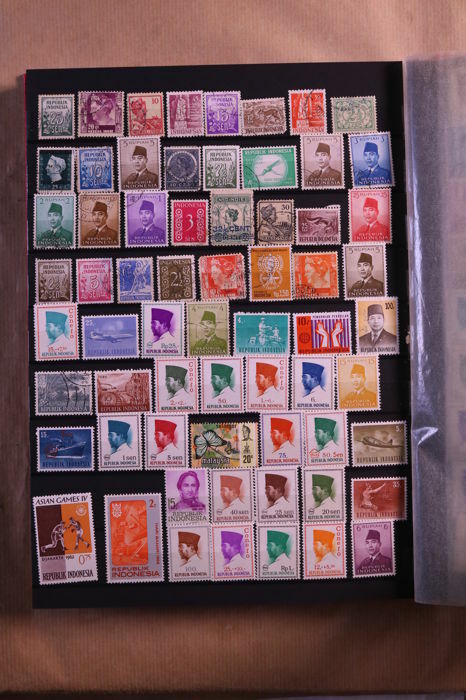 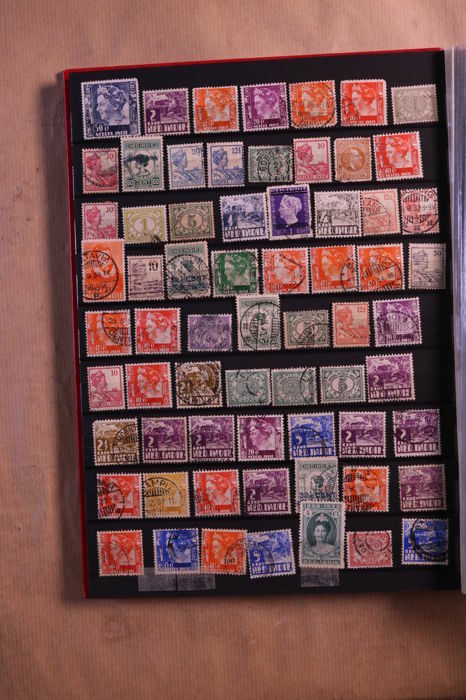 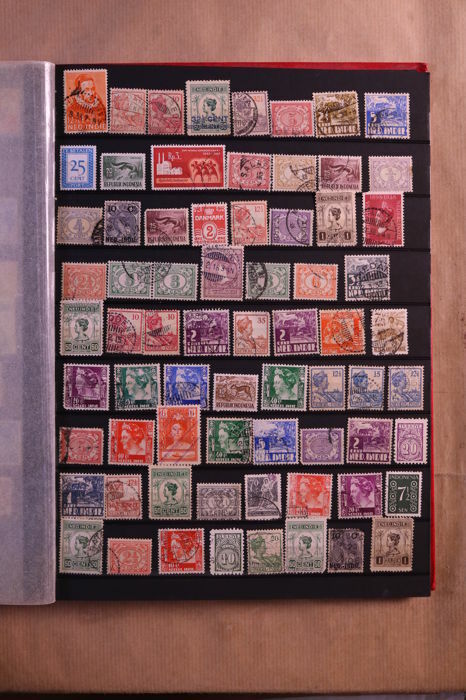 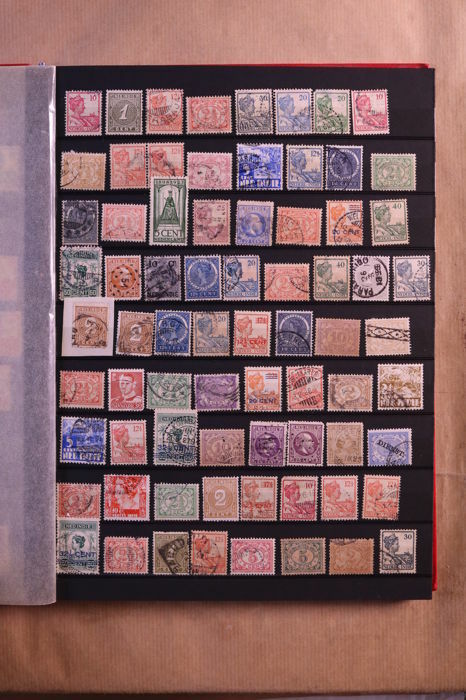 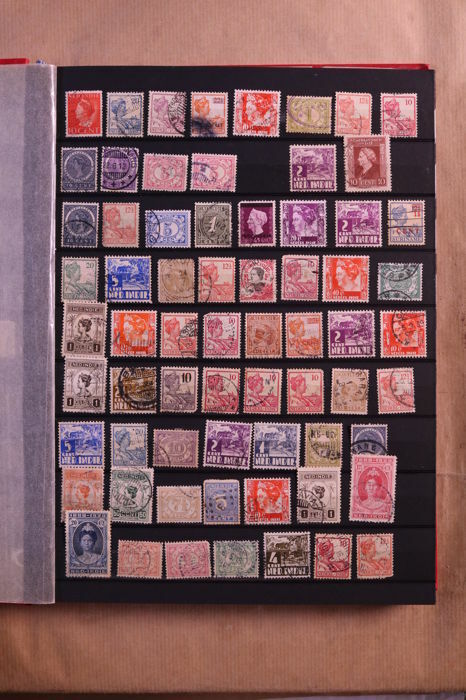 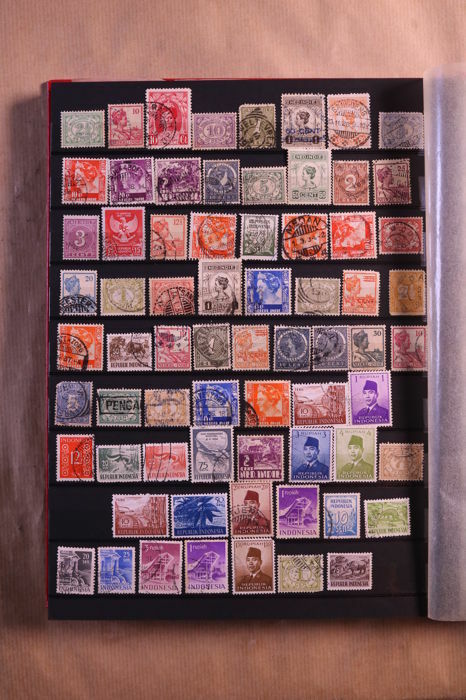 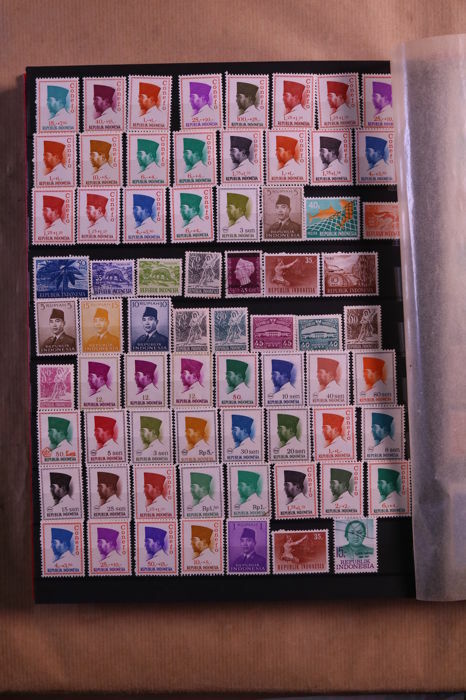 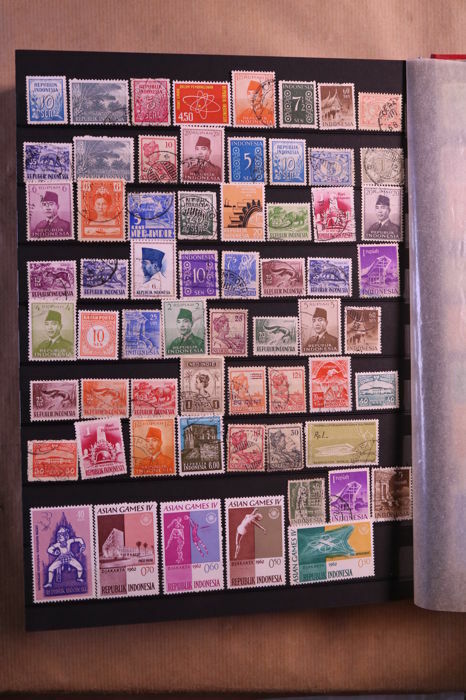 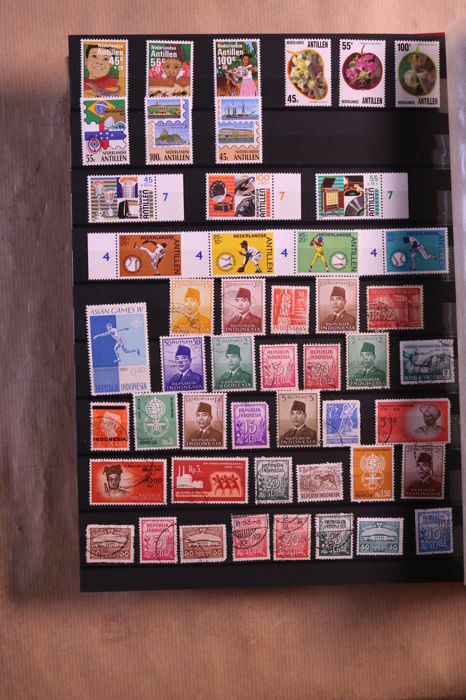 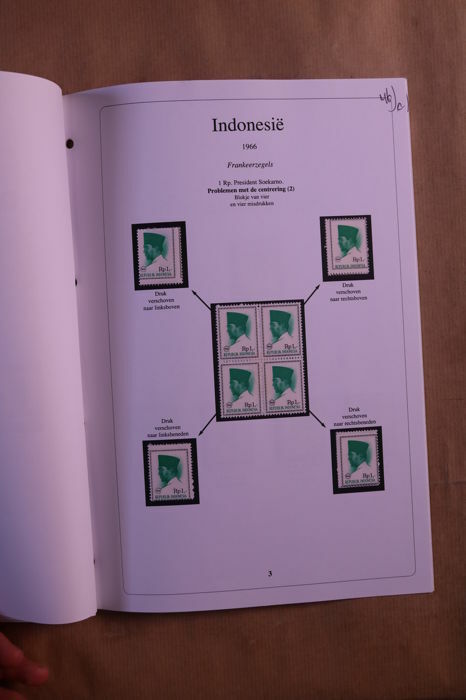 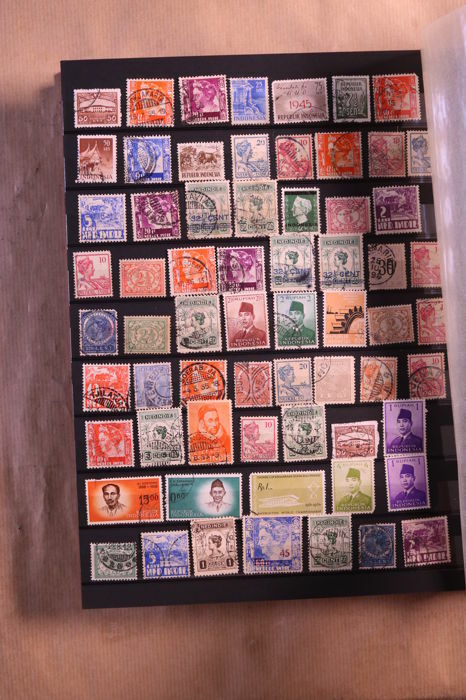 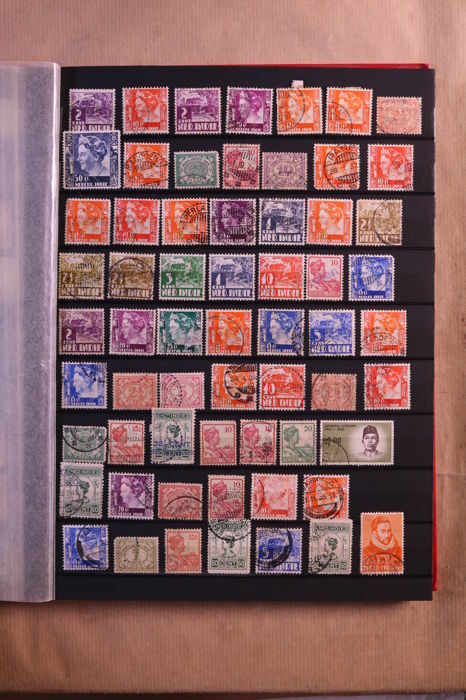 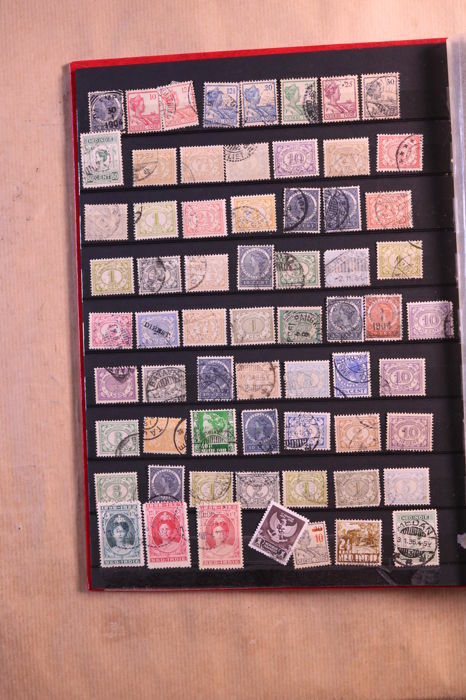 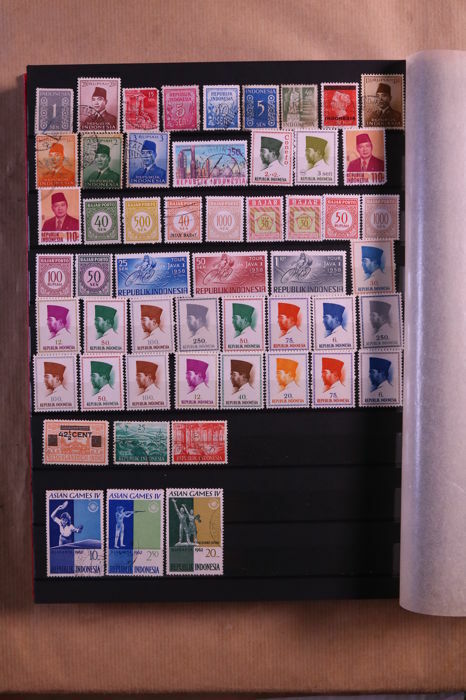 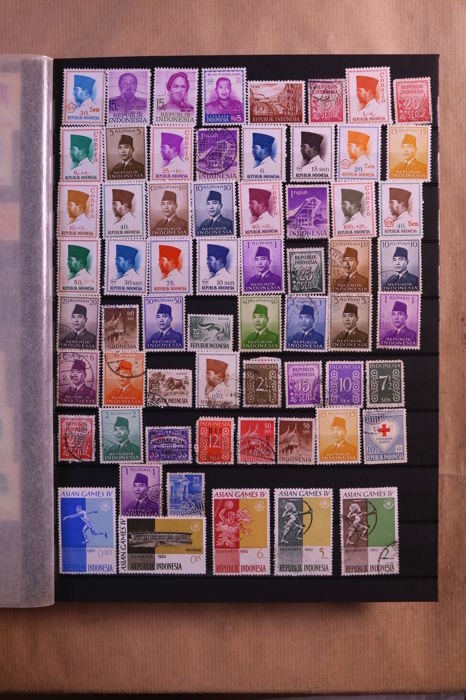 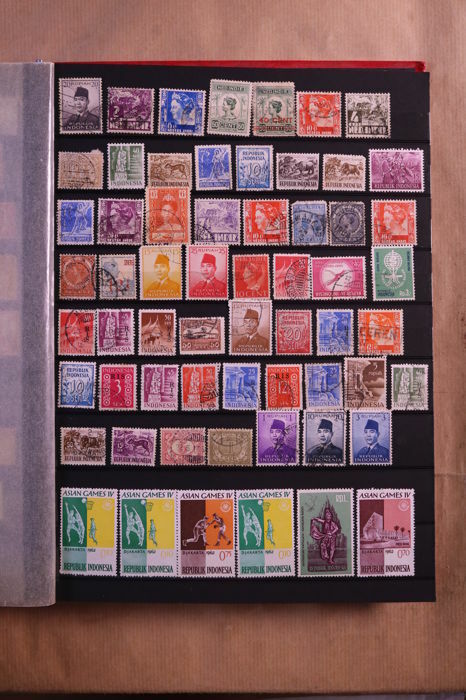 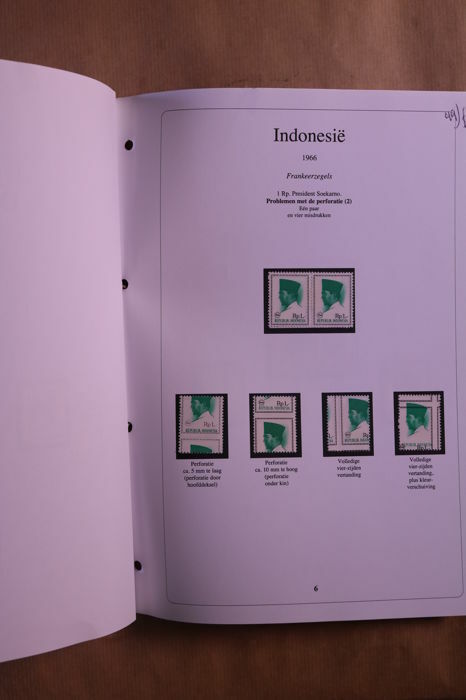 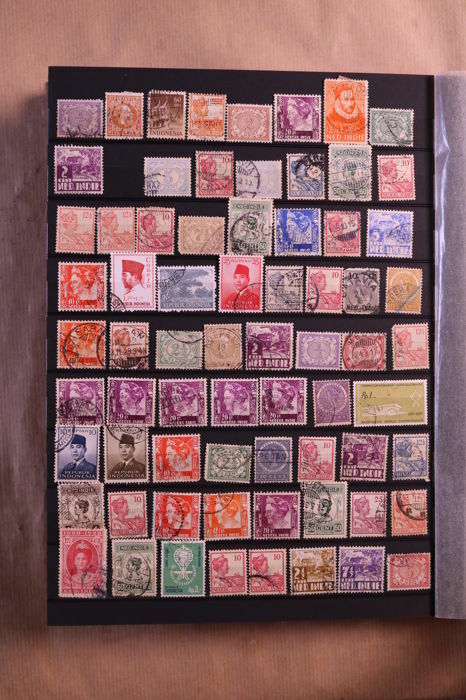 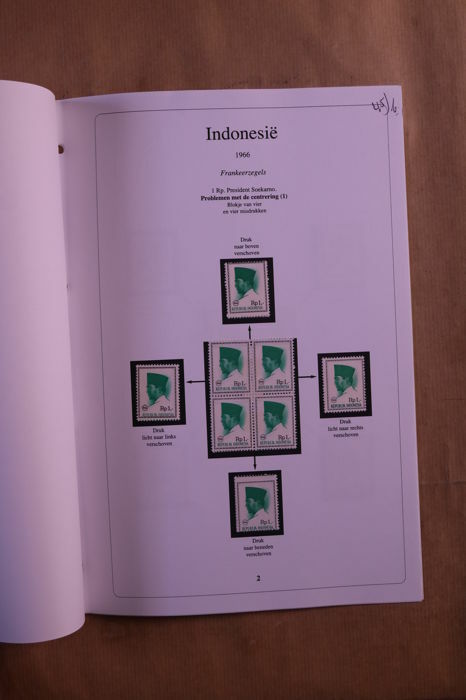 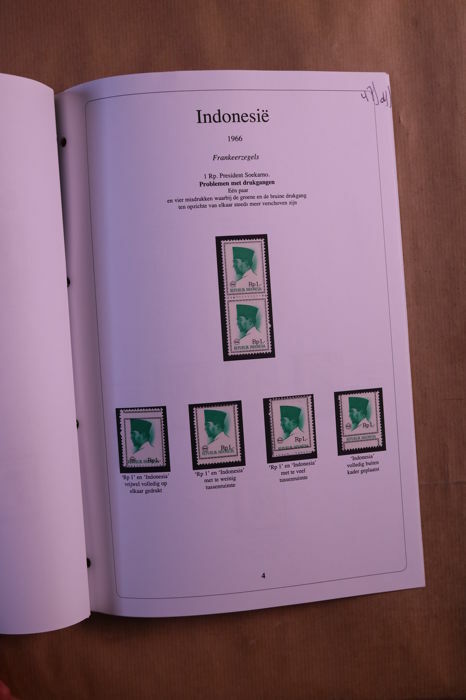 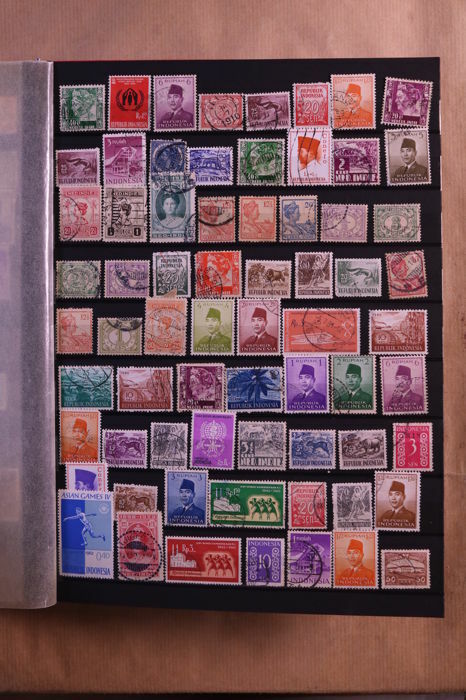 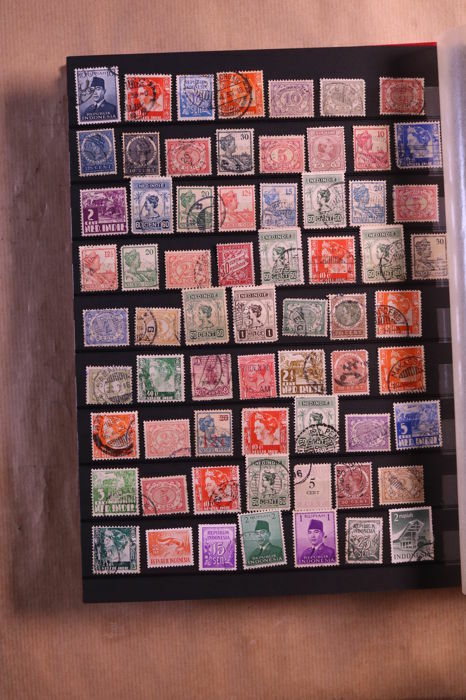 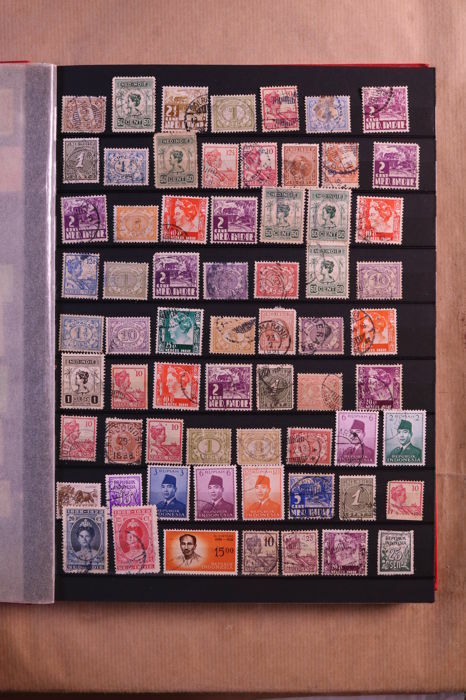 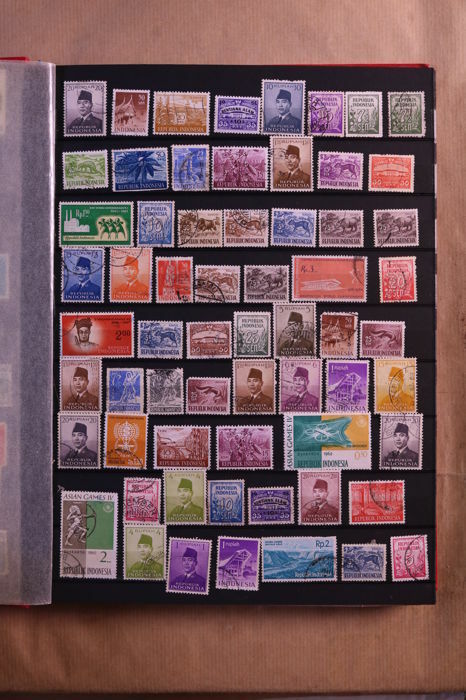 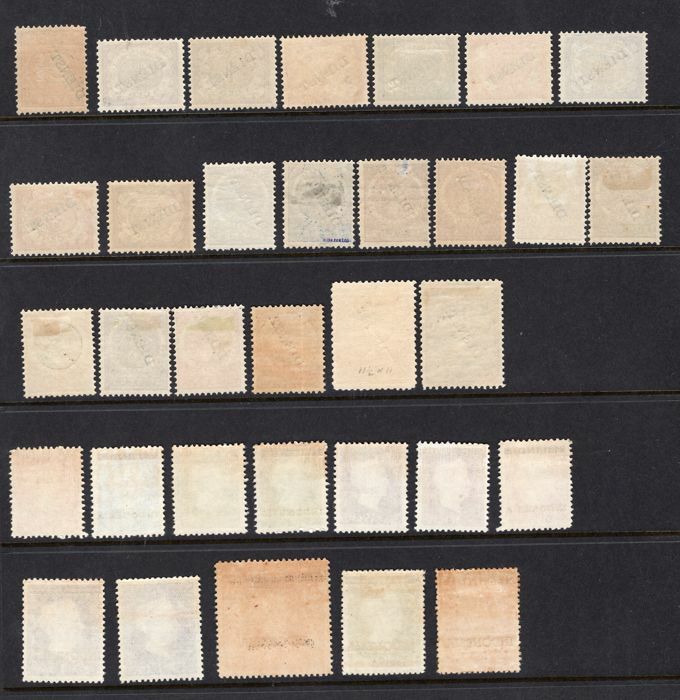 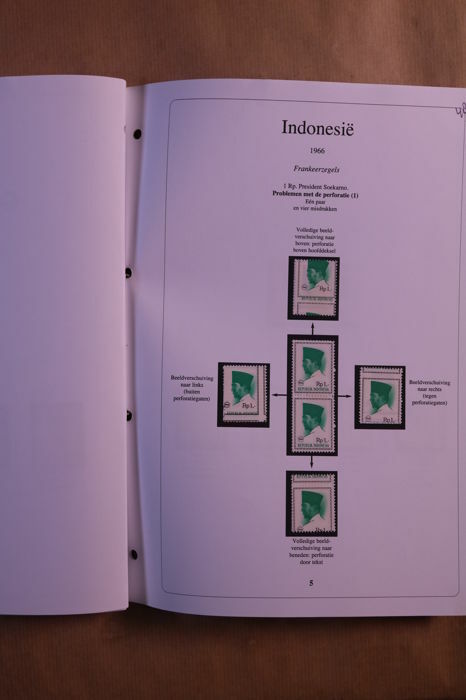 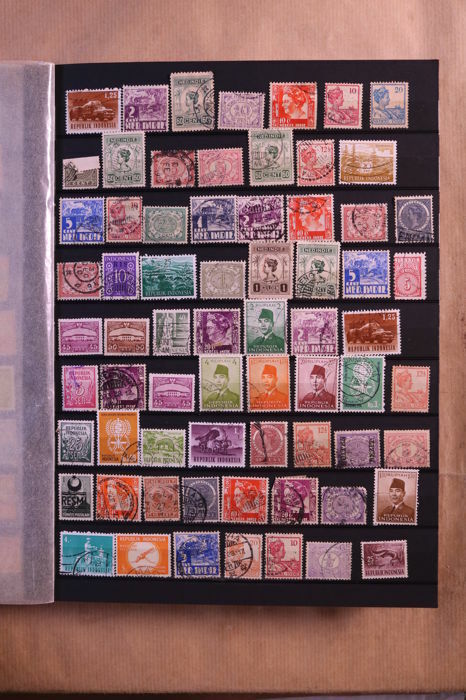 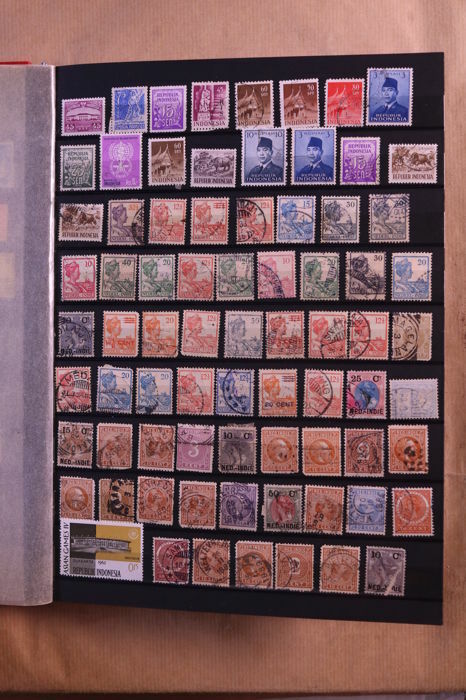 With several unused misprints of the Indonesia 1 Rupiah stamps.